Sometimes, being a chemist comes in very handy in the kitchen. 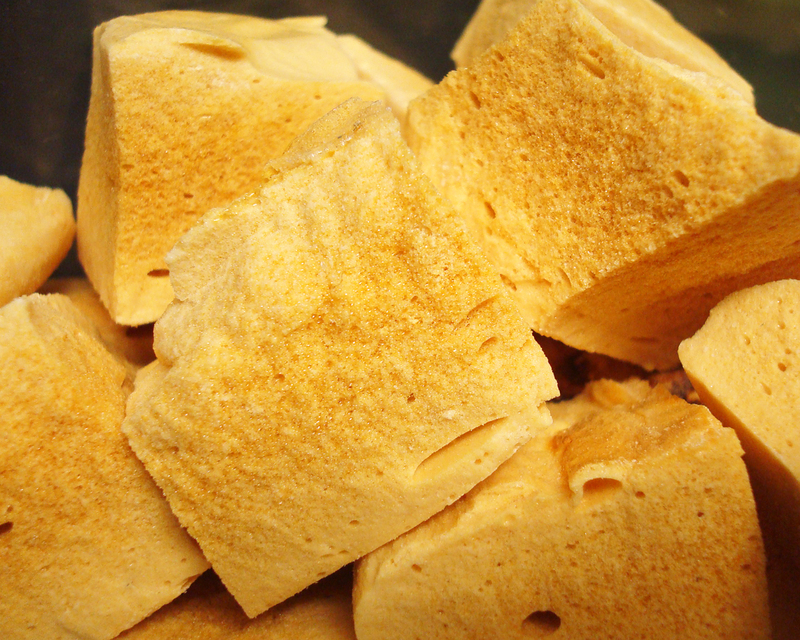 In my previous candy experiments you might have noticed the massive amount of molten sugar I’ve been working with. From the marshmallows to the taffy and the butterfinger bars, I’ve been going through pounds and pounds of sugar and my kitchen is getting pretty sticky. (I found some rogue purple sugar this morning while toasting a bagel!) This danger of the sugar is not what makes my PhD an asset, it is my familiarity with failure. As a synthetic organic chemist, one gets pretty used to failure. You begin with a plan on paper and you set upon this path. A new project is exciting, you order your reagents and get everything in order. At first things go well and your chemistry works! Then you hit a wall. Perhaps a reaction that you expected to work one way does nothing at all, or worse, something unexpected. The reaction could even destroy all of the forward progress that you have already made, sending you months back. Your original plan gets torn apart after a series of failures and you re-write your scheme. No matter how many failures you have there is still that end goal in sight, the completed molecule. You’ve got to finish the project! So, no matter how many failures you have and how many walls you hit you eventually find a way. Success comes to the persistent and persistence pays off (with candy). 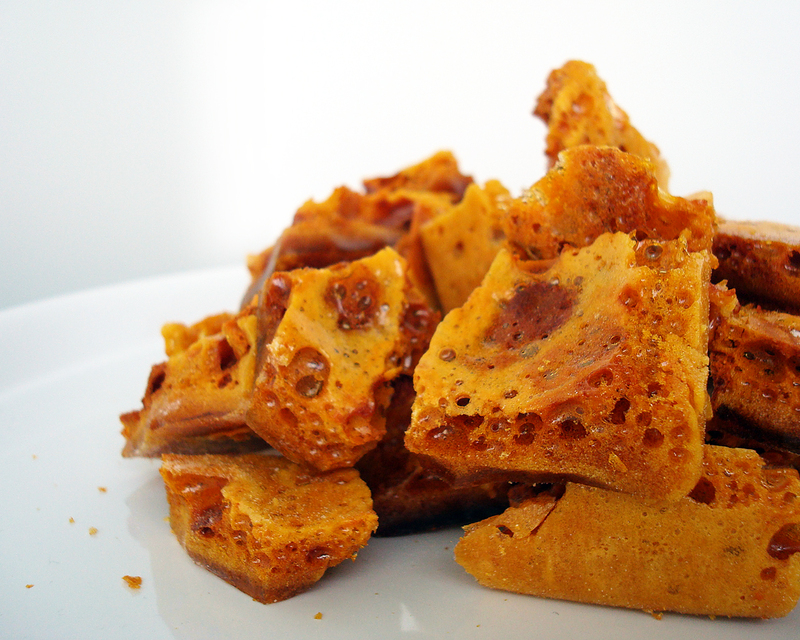 This candy was a little tricky to make, only because I didn’t have the right recipe. 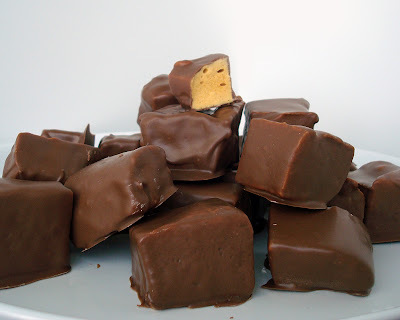 Many people have sponge candy recipes, but they weren’t coming out like my sponge candy. So many recipes called for vinegar and baking soda, which turns out to be totally unnecessary for the desired reaction. This recipe was the first failure. 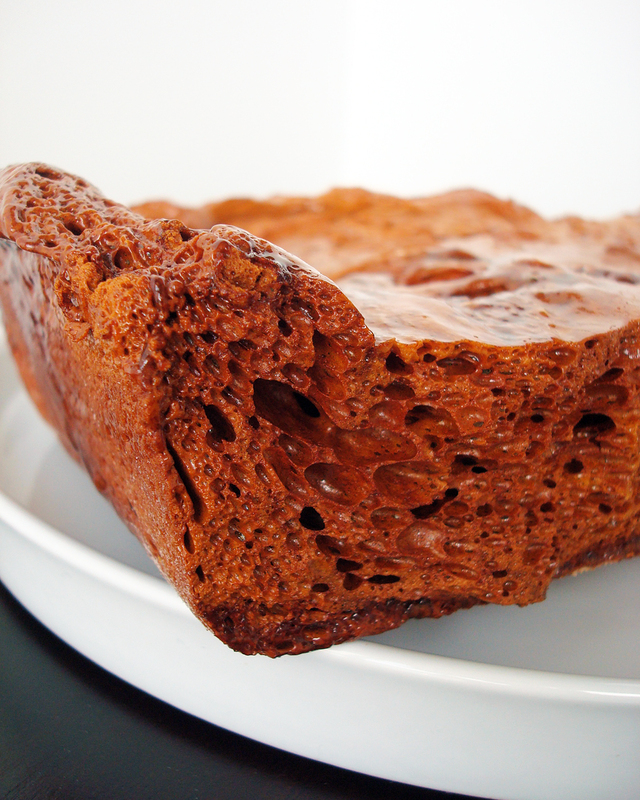 The second failure involved a recipe that called for heating honey to 300, this causes honey to burn. After a little research into how Buffalo sponge candy is made, I had worked out a recipe and right the method of how to put it together. This final batch came out exactly like I remember it from Watsons and I’m sharing my recipe with you. Don’t worry, I’ve worked out all the kinks for you. These failures lead to candy gold. 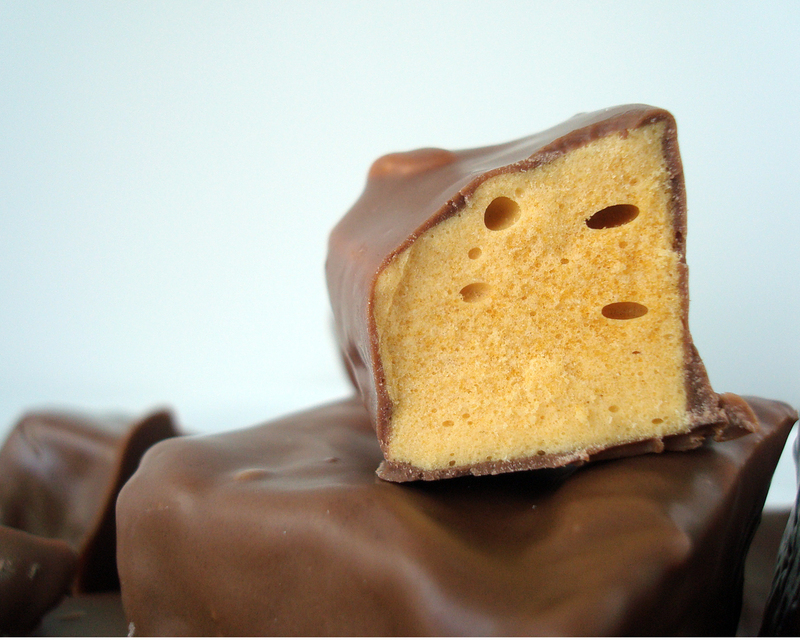 For an updated version, as well as answers to some common sponge candy questions, see my Sponge Candy FAQs Post! In a small bowl, sprinkle gelatin over 1 tsp water and allow to bloom. In a medium stock pot with high sides, mix sugar, corn syrup and 1/2 cup water together. Heat over medium heat and stir until sugar dissolves and mixture comes to a boil. Wash down any sugar crystals from the sides with a wet pastry brush. Clip on candy thermometer and heat to 310° F. Do not stir after you have clipped the thermometer on, the sugar will self stir. Remove from heat and let sit for two minutes, bubbling should subside. Add gelatin and whisk, be careful, the sugar syrup will bubble up. Sprinkle baking soda over syrup and whisk vigorously. Return mixture to the heat and whisk for 30 seconds. The sugar will rise up in the pot, a lot!